Many years ago, my father worked as a longshoreman on a New York waterfront for a busy shipping company. He made union scale wages (good pay) and worked a 4-day week - an excellent job. His duties included unloading cargo and taking inventory of received goods. One day, the presense of an unscrupulous element became known, and it was suggested to him that he look the other way when certain shipments came in. He was assured he would be reimbursed for his cooperation. In those days, dimedropping (whistle blowing) was not a wise option in a mob controlled industry, and my father felt he had no choice but to quit his job. "I refuse to be obligated to the wrong people", he explained. Giri (Jpn; pron. "gear-ee") loosely translated means "obligation", but with profound moral and ethical connotations. This is a concept that is pronounced in the teacher-student relationship in traditional martial arts. The classical ryu (martial arts school) was not run like a business, and there was no exchange of money or goods between a master and his disciple. The student, however, was expected to carry the obligation of loyalty to his teacher, school, and the other students through perpetuating the art. True giri entails performing acts of service to everyone we are in some way dependent on; service to your family, co-workers, community, and society. It is the pursuit of fulfilling one's duty that is not be confined to the dojo, but to be practiced in all walks of life. But giri that expresses itself for the wrong reason (giri literally means "right reason") can easily be warped into something less than honorable, like that situation my father found himself in all those years ago. The day he walked away from that job, it was for the right reason. My father had fulfilled his giri. Giri, that burden most difficult to bear. Yet, if you don't feel it, it is not giri. I have lived my life in respect of giri and it is the most difficult burden I have; yet it is the most important trait I have. Sometimes, but not always. I know the traditional definition of giri is that which can never be paid back, try as one may. The Japanese way can be quite severe. I myself am an extremely loyal student of the arts, and still feel greatly indebted to my instructors. However, for my own purpose, anything that I cannot adequately explain, teach, or quantify cannot be included in my syllabus, nor tested for, nor expected. It's true that some things can't be adequately explained. I believe that the best way teach anything is to lead by example. That's why I included the story about my father. Your debt to your instructors is being payed by showing (leading by example) your loyalty to the arts - through teaching. That is fulfilling your giri and illustrating its concept at the same time. "I believe that the best way teach anything is to lead by example. That's why I included the story about my father. " Most certainly you are correct! And this is one of the reasons why I think resources on the internet makes for very good discussion/lessons for students. Sometimes you don't get this level of dialog even at good martial art schools. Do some instructors think that an unwritten understanding can be passed uniformly through the ranks? Or is it that a few hours per week makes for very little time aside from physical training? I'm trying to instill this practice into my daughter. I like the story of your father which shows moral fortitude. That must have been such a difficult decision for him, because he had to sacrifice a very good job for his values. I wonder if the whole idea of "giri" is a difficult sell for the Western Martial arts student. Why? Because I think that we approach our training with the same attitude as if we were paying for piano lessons, or dance lessons. In other words, we go to the dojo, we pay our fee, we get taught how to do a certain thing. There is no obligation for us to go out and teach others how to dance, or play piano.. why would we feel like we have to go teach martial arts? That activity is for the Sensei whom we feel are educated towards instructing others. Thanks for the link, Colin. Unfortunately, this kind of story is not uncommon in the martial arts. I wonder if the whole idea of "giri" is a difficult sell for the Western Martial arts student. Probably. I expounded the feudal definition of giri to include modern themes such as duty and service so it makes a little more sense. ...we approach our training with the same attitude as if we were paying for piano lessons, or dance lessons...There is no obligation for us to go out and teach others how to dance, or play piano...why would we feel like we have to go teach martial arts? Indeed. A sign of the times. Don't forget what the budo aspirant had to go through just to find a genuine master in feudal Japan. Then he had to be accepted. Receiving this kind of knowledge from a real master - this was a gift that could never be redeemed. So how was this giri fulfilled. Not by "paying back" the master directly; rather, the obligation was transcended through teaching the art. And for those who don't or can't teach? Artists of every stripe have one common trait: They live to display their art. Enough said. Another Great Story and Discussion! As martial arts instructors, its interesting that there is this additional "aspect" we feel obligated to teach. Morality, Ethics, Etc. Increased Respect and model behavior is part of the sales pitch made by many martial arts schools. Do Ballet Instructors feel a responsibilty to pass on something other then the physical art of dance to their students? How about Boxing Coaches? I suppose it depends on the teacher or coach. The story of your father defines "teaching by example", which (in my opinion) is the only real way to teach such things. As always, a very thoughtful post. Your father shows a level of integrity that is extremely rare. Obviously, as a few people have already pointed out, the idea of giri has been much on my mind of late. One thing I have noticed: it is rarely the decision that causes internal conflict; rather, it is the process of deciding. I dreaded the idea of having to make a choice between my instructor and my art; however, when I actually had to make the choice, it was a very simple and (for want of a better word) peaceful act. I agree with Colin's point as well. I ask that my own students respect my efforts, just as I respect theirs. My students might be "loyal" to me, but, if so, it is a loyalty born out of mutual respect and friendship. A good and thoughtful topic! Do Ballet Instructors feel a responsibilty to pass on something other than the physical art of dance to their students? How about Boxing Coaches? Undoubtedly some do. Like the martial arts, boxing and ballet are extremely demanding disciplines. Some ballet dancers seem to transcend the laws of gravity. There are prizefighters that possess the heart and spirit that would be the envy of any black belt. But few things touch on so many aspects of the human condition the way the martial arts do, which is why I believe its practitoners wish to pass them on for posterity. ...it is rarely the decision that causes internal conflict; rather, it is the process of deciding. I dreaded the idea of having to make a choice between my instructor and my art; however, when I actually had to make the choice, it was a very simple and (for want of a better word) peaceful act. I hear that. Believe me, I've been there myself. I strongly empathize with your story. We all possess an inner-knowing about decisions and their consequences that deeply affect us. You know you did the right thing. There's so many great fight scenes in cinematic martial arts. It's hard to pick the best! Good to hear from you Flashcat, and thanks for the link. Your father is a good man. 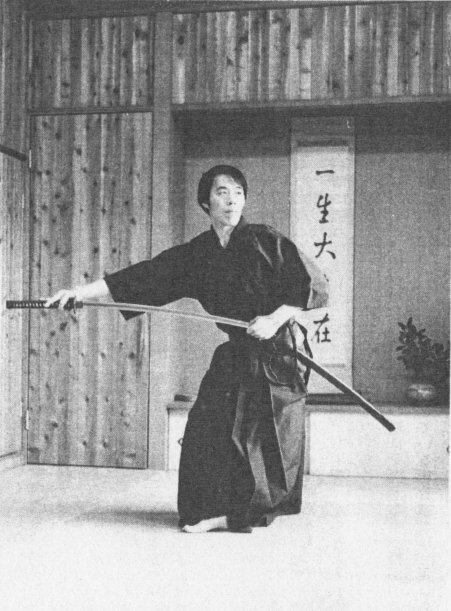 I think the concept of giri in today's version of the martial arts is very skewed from what its original intention was. I think a lot of schools (McDojo's) expect the equivalent of slave labor and/or looking the other way when things are going on that are not appropriate and that is a real shame. Your father embodies the true meaning. Thank you, Black Belt Mama. I think the McDojo version of giri goes something like, "You want to train in this school? Sign here!" I think good coaches in anything--track, ballet, martial arts, speech, debate--go beyond the technical aspects of what they're teaching their students and into more moral or philosophical realms...when their students are ready. Yet while I respected my Kwanjangnim in America, I didn't feel the same sense of honor and duty that I feel here. That could, indeed, be because I trained twice a week (2 hrs total) in America and I train 5 nights a week (10 hrs) here. It could be that for whatever reason, I wasn't ready or open to the idea in America. As a side note (that seems related in my head) in America I was taught that the tenets of taekwondo were courtesy (예의), integrity (염치), perserverance (인내), self-control (극기), and indomitable spirit (백절불굴). I asked my Kwanjangnim about this. He used the same Korean words in his studio. We sat down and used a dictionary to look up all of the words, then looked them up in reverse so that he was happy that I understood. But when we looked integrity/염치, it was defined as "a sense of shame (honor)." I looked up "integrity" and Master said, "No, not the same thing." I looked up several other words, too. No, none of them fit, he said. I have asked several Koreans, some fluent in English who have lived abroad and other fluent who haven't lived abroad and they say we really don't have the same concept in English. If you read "The Geography of Thought," the author argues that Westerners and East Asians (he focuses on China, Korea, and Japan) think differently. I do wonder if there are some aspects that simply can't be taught nearly as easily in Western schools. Welcome to my site, Amanda. I see that. I think when it's expected, problems occur. It's true that the idea of honor and respect in the East as perceived by a Westerner can appear "cultish". Truth be told, there are some cult-like martial arts clubs in the US as I'm sure you're aware. ...when we looked up integrity/염치, it was defined as "a sense of shame (honor)." It's interesting how shame and honor are two sides of the same coin in Korean ways. The Japanese call this aspect "face" (e.g. losing one's face). Good comment, Amanda. I appreciate your thoughts and input.